I've forgotten where this info came from. Sorry! Edited by yours truly (contact me). The image came from AnimeOnTV. In the future, the countries of Earth made these huge spacestations called colonies (because of this, they change A.D. to A.C., meaning "After Colony"). The colonies are inhabited by scientists and workers. To control the colonies, the major nations ally together and call themselves "The Allied Nations of the Earth Sphere Alliance" (the area containing the Earth and the colonies is called the Earth Sphere). Their rule started out peaceful enough, but later on they abused their power and started a tyrannical reign of terror using their military weapons, called mobile suits. 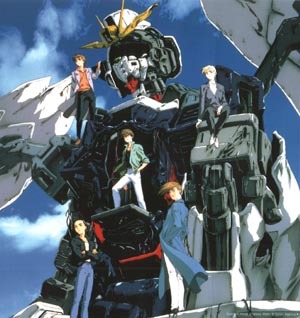 Mobile suits are huge robotic suits that are piloted by men and women of the Earth Sphere Alliance military. The mobile suits use fear, instead of peace, to control the colonies. The year is After Colony (A.C.) 195. The colonies of the Earth Sphere are under the complete control of the Alliance. But, certain scientists of the colonies are dissatisfied with the way the colonies are treated. So they decided to create special mobile suits, made out of almost indestructable gundanium, which can only be made in zero gravity. They call these mobile suits "Gundams", which can only be piloted by the best. The scientists disguise them as shooting stars, and call their plan "Operation Meteor." The gundam designers created the Tall Gueese first (currently piloted by Milliardo Peacecraft aka Zechs Maquise) and later designed, but never ceated, the Wing Zero. The Wing Zero was built after operation meteor by Quatre Raberba Winner. 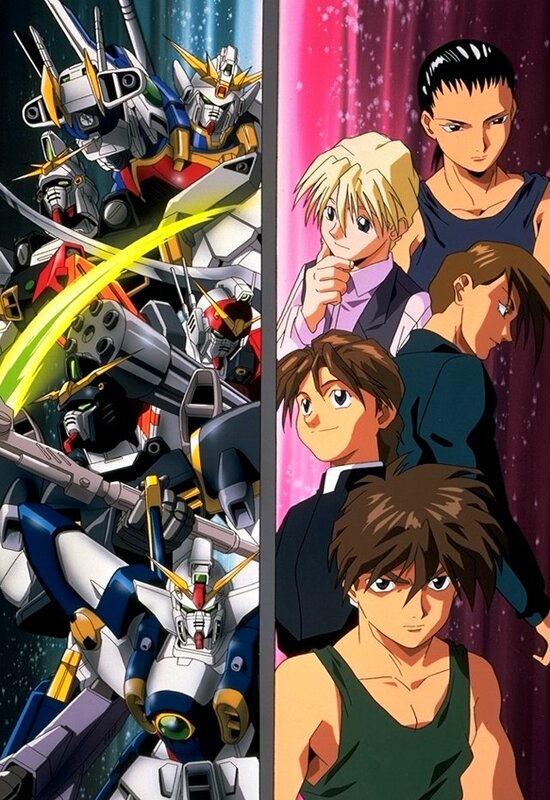 The original mobile suits sent to Earth were the Wing Gundam (piloted by Heero Yuy), the gundam Deathscythe (piloted by Duo Maxwell), the gundam Heavyarms (piloted by Trowa Barton), the gundam Sandrock (piloted by Quatre Raberba Winner), and the gundam nicknamed Nataku (pilotd by Wufei Chang). The above description came from Toan Nguyen, and was edited by yours truly (contact me).